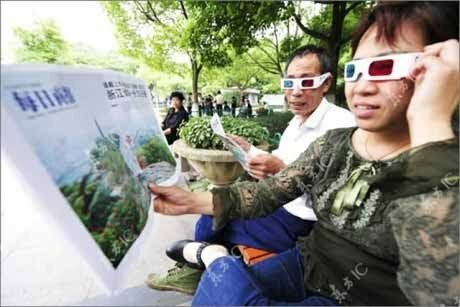 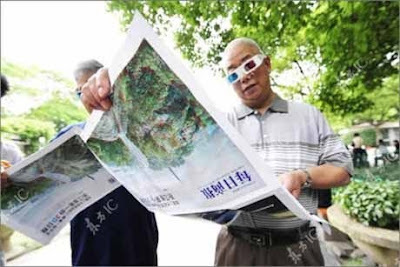 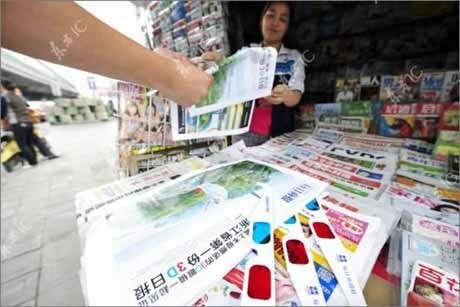 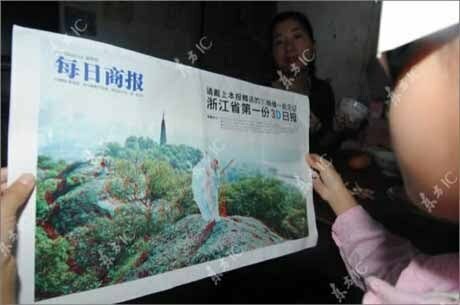 Ever since China’s first 3D newspaper was released, back in April, the public has been asking for more. And they’re about to get it, as a limited number of the Hangzhou-based Daily Business editions are about to be issued, in 3D format. 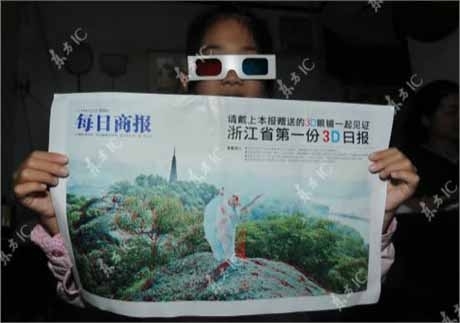 0 COMMENTS on "China Launches 3D Newspaper"